Hands up who uses Wikipedia? OK, keep your hands up if you edit it too? Ah. Not only does Wikipedia need our financial donations to keep running, it also needs our time. 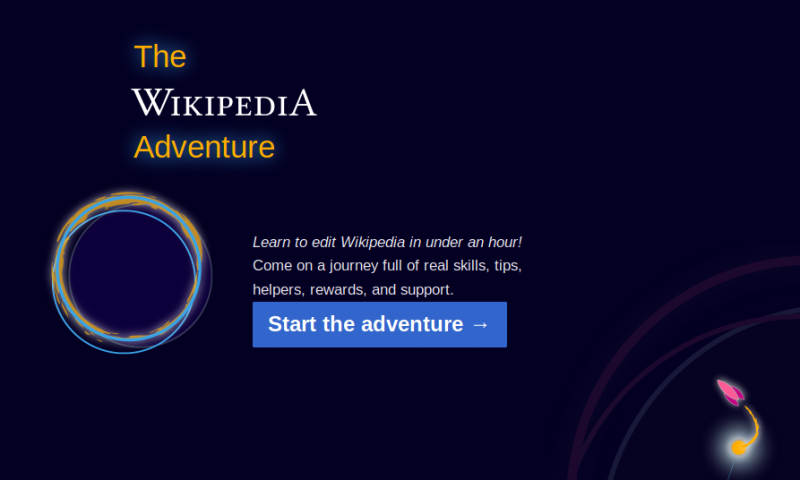 To encourage people to edit it, the Wikimedia Foundation have created an ‘adventure’ by way of orientation. It’s always good to be a little playful, especially when welcoming people into a project or community. There’s also an ‘Interstellar Lounge‘ where you can chill out, listen to openly-licensed music, and get help!